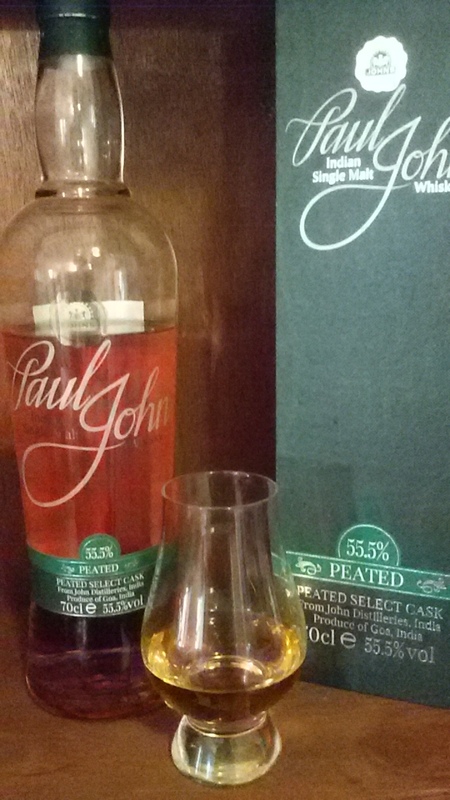 The Paul John Peated Select Cask uses peat imported from Scotland, is non-chill filtered and aged in American white-oak ex-bourbon barrels. The notes are from two sampling sessions. The 1st points are from when the bottle was initially opened, the balance from the 2nd tasting session. Hickory chips, peaty, smokey BBQ, roasted, toasted toffee, nutty whiff, lightly tropical. After letting it rest, even more fruit. Really opens up with a light splash! While there is peat, it is a light not heavy hand – teasing rather than clobbering you over the head. It is definitely the kind of whisky the grows on you more and more. Interestingly some who initially voted Paul John Classic as their favourite over the course of the evening found themselves drawn back to the Peated. It even made a convert out of one who tends to prefers non-peated whiskies. The Paul John Select Cask Peated gently astonishes the seriously indulgent. The swirl lightly whisks up narratives from the undulating landscapes of the windswept oceanfronts of Goa. The smoke slowly blows forward and acts as a cushion to the many layers of crisp sugars, muscovado and demerrara. A hint of spice radiates from the hickory and Dominican-style cocoa. That’s the Goa experience in a tipple. There is clearly a distinctive quality to all four Paul John whiskies. Each has a kind of tropical ‘sunshine’ with a range of sweet to bitter to spicy and, for Edited and Peated, smokey elements. 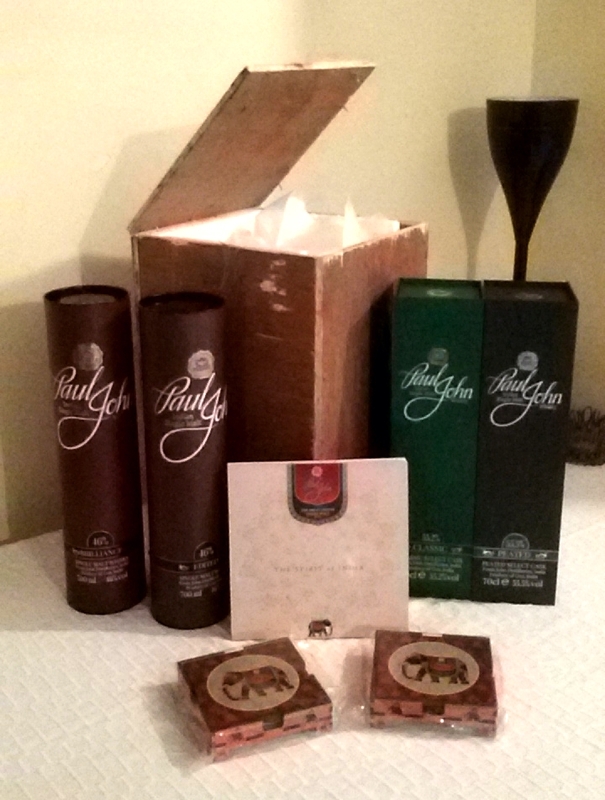 It is refreshing they are from India and while all are quite enjoyable single malts, the Select Cask Classic and Peated are the ones appreciated the most. A welcome newer voice in the world of whiskies and growing pride from India. 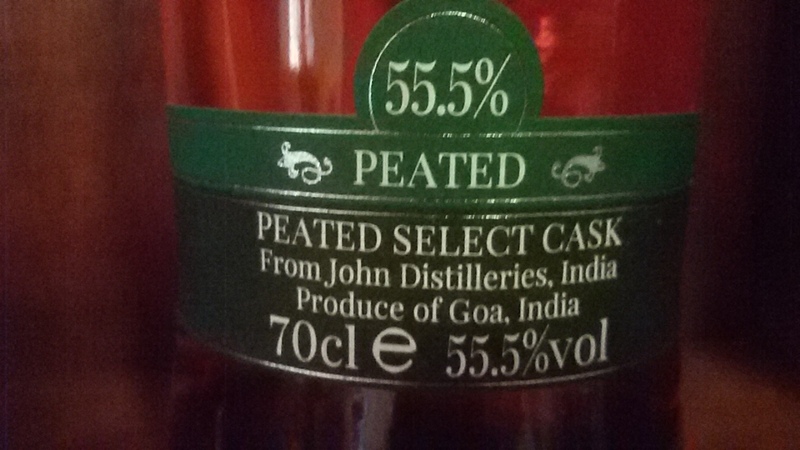 This entry was posted in Beyond Scotland, India and tagged John Distilleries, Paul John Peated, Paul John Peated Select Cask, Paul John Peated Tasting Notes, Paul John Single Malt by Carissa Hickling. Bookmark the permalink. I had organized a similar tasting a few months ago with very similar results. The Peated Select was the pick of the lot for us. We also had the Edited, Brilliance, Single Cask & Peated Cask. Good whiskies. Great promise. Have you sampled the single cask peated? There was a limited edition out for Master of Malt. It is mentioned in the little booklet which came with the bottles. Nope not had the single cask peated. Will let you know if I get my hands on one. If you get their first lemme know.